Blog commenting is one of the prime jobs of a blogger because it helps you build healthy relationships, generate blog traffic, and sometimes get dofollow links as well. When I say, blog commenting that doesn’t mean to post anything it means to read a blog post, and then share your honest opinion in the form of a comment. Every blogger gets tons of comments that are either one-liner or something that has no relation to the content. I get more than hundreds of such comments every day, thanks to Akismet that keeps them in spam folder already [Read how you can keep your comment out of spam folder]. And few of them which were not caught by it, I trash them. Most of them either submitted by some software, and others are submitted by humans who just want to get a link to their sites. They don’t even read the article. I would like to suggest that always read the blog post and then share your valuable opinion or feedback. Never comment before reading the article because bloggers are not fools they can easily get to know that you haven’t read the post, and they will trash your comment. In these comment, read the very first paragraph, they somehow appreciate the efforts that I have putted into the post. Their appreciations motivated me to write even better content. Similarly, you should first write something like this and then write your views on the topic. 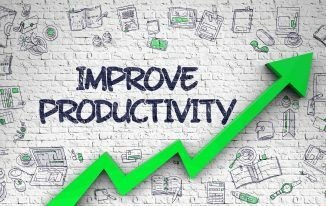 The first two lines of your comment can make a blogger jubilant, and they get motivated to produce even better content for you. If you are blogging for a while, you must have noticed many commenters put their keyword or site name in the name section. 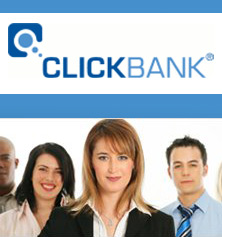 They do it because they think these will help their site rank well with that particular keyword. They can even get benefitted if the comment links are dofollow. That’s the reason I had made my comment links nofollow a long ago. Most of the times, I don’t approve such comments because I hate it when someone doesn’t put his/her name in the name section. Sometimes, if the comment is really well and there is no name, then I approve the comment and ask them to use their name from next time. But this really doesn’t entertain any blogger when they see a comment with no name, but a keyword in place of a name. Nothing is there in the comment. It’s just a pure spam. Keyword in place of name. One-liner comment that has nothing to do with the article. Thus, I would like to suggest you to always write your real name, valid email id, your website address in the given section, and a very well written comment. If you don’t do this, your comment either will go in spam or will be trashed by the blogger. When a blogger writes a good post after putting a lot of efforts and time, you should be kind enough to write a good comment with genuine feedback, suggestions or views. If you don’t want to do these, try not commenting on them because no one likes one liner comments such as “nice post”, “great article”, etc. I can understand that sometimes there are situations where you cannot write a long comment as you have got some problem understanding the topic, but then you can ask a question in a better way. Bloggers are smart enough to understand that you actually want to know the answer, and not just putting up the comment just for getting a link. Most of the readers post just a simple affirmation in form of comment so that their comment gets approved fast. They don’t even care to notify you if they find any mistake in the article. I would suggest writing an honest feedback as a comment if you find anything wrong in the article. It builds up the trust and relationship, it also shows that you have actually read the content with full concentration, and that is why you can find the mistake. Though I and every blogger suggest writing a well descriptive comment after reading a blog post, but try to limit your content to 350-400 words maximum. I have seen few of the bloggers write a full blog post of 600 words in the comments that too is not good. Word count in the comments must be to a certain limit, 400 words max is what I recommend. Don’t get disappeared after posting one comment rather try checking there if there is something you need to reply again. The best thing is to do is to subscribe to the comments on the blogs on which you post comments so that you will be notified always whenever there is a reply to your comment. This is not that necessary but if you love creating conversations in comments, you must do this. Don’t insert any links in the comment body unless it is relevant to the content or you need to add for clarifying anything. If you do so, either your comment will go to spam automatically, or blog editor will trash it. This is not that important because you might not be a blogger, and you may want to comment on some articles for a different purpose. But if you are into blogging, I would suggest setting up a Gravatar profile, and add an image there so that wherever you comment on WordPress blogs, your profile picture will be displayed. This is natural when you read and understand the post well, you must write an appropriate comment. But those who don’t read the post writing an appropriate comment seems a tough job. Thus always read the full blog post, and then write a comment that is relevant to that blog post. These are the 10 things I would like to recommend which you must remember while commenting on a blog. These are blog commenting etiquettes that if you follow, you will be liked by every blogger, and your personal branding and credibility will improve gradually. Don’t you really think point 2 conflicts with point 5. I still say be honest while commenting and I really odn’t like this post. yes HKR, somehow they conflicts but i meant to say appreciate for their hard work but you need to correct them if there are any mistakes.. Thanks for the information.Well I follow all your points to date except the one of notifying.I will make sure that I do it from now onwards. Hello Shivam thanks for stopping and dropping comment on my blog. You must follow the notification point because these are the ways by which you get updated with all the comments on a particular topic and regularly you can place your opinion there. Thanks for the information you have provided here .. Exact points you have mentioned. Nice Tips Atish. Thanks suraj for your comment and stay tuned with techtricksworld.com to get more tips. Its good to learn..I m still learning. If we do comment seriously and in the best way then it will be the best strategy to get huge traffic from other sites. At first I wanna put my experience (I was learn from your blog) into your post. Useful post Dear! I think if any commenter wanna better in the comment sector though he/she should be follow your topic perfectly. Thanks for your hard work !! Really bloggers doesn’t like ”thnxs nice article” such type of comments. I really liked the fifth point. Some visitors who came from Google translated search (I can recall one name right now: Roberto) corrected me few times. Other irritable things are starting the “I” with small letter “i”, SMS languages etc. Thanks Abhishek for liking the 5th point because I too love this personally. Whenever i see any typos anywhere then i just put a comment or contact admin of the site and tell him about the mistakes. yes I too hate SMS language in the comments or in contents. This is awesome @Abhishek, I love your work…Thanks for that. Very true. Posting blog comments on blogs that I am not interested with or not even reading the blog will make my comment to be stupid. It’s best to read and comprehend so that relevant comment will be posted. Nice article Atish, I will surely remember your suggestions while commenting. But I have a question to ask. How to know if any particular comment is spam or no? I had a few comments that looked relevant but then I saw the same comment on other blog. Will it effect our SERP, does the spam comments effect our authority/? I suggest whenever you get suspicious comment just copy the comment and paste in google.com and search it..if the same comment appears anywhere then you can see in google Search. So I would suggest before approving test the comment. If the comment is copied on many places then it will affect your SERPS because comments are plain text and it also crawled by serach engines. Thanks Atish for clarifying my doubt. Surely I will check it on Google. Good you are most welcome. keep asking your doubts here. it enhances knowldgebase. You are absolutely right, People used to put keywords in name field and annoy admins, It happens on my blog too.. I spam those comments without even reading those comments. Nice post buddy ! Great tips for better commenting ! Thanks for your comment priyangshu. Atish! your blog is really superb. Thanks for guiding us on how to comment effectively. 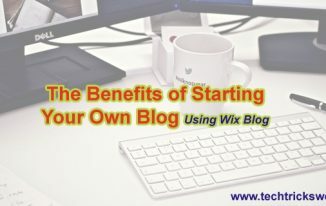 It is really helpful for me in my blogging journey. Ritesh @ Technology Blog recently posted…Google Plus (+) is open to everyone now! You are most welcome Ritesh. I believe pagination will improve user experience. 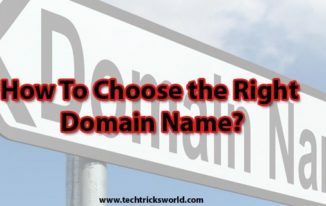 Ritesh @ Technology Blog recently posted…Want to have a Free domain names – Grab your dot tk domain for free! Sure I will keep this thing in mind. Amrita@How to Get rid of blackheads recently posted…Blackhead Removers – Blackhead Removal Tools – Are they worth ? Yes we should make comments genuine. yes it affects because comments are also text and crawled by Google bot or any other search engine’s crawler. and if the same text content will be on many places then it could be considered as copied. In this way site can be pandalized. really fab post.if there is any mistake in the post then if we comment that it is wrong will it not be disappointing for the admin.the tips are just awesome.should remember them while commenting, we will be benefited. Thanks for your comment here and thank you for nice words. I will suggest you to proofread your comment after writing. spell mistakes always disappoints any admin. junaid @ Technology Blog recently posted…Blackberry, RIM MD Fenny Bawa resigned. Any time dude. you can ask your all doubts here. I am here to answer your all queries. Thnx Atish i am really enjoying the way i am commenting on the posts and it is surely working.keep sharing these type of tips. Very nice tips, looking forward to read more posts like this! I do agree with your two points 1. Read the blog regularly and 2. Promote the guest post. Most of the Commentors add there Affiliate Links while commenting and most of them dont use there names but uses there keyword. They should comment in the proper way by reading the whole article. yes, even I have stopped approving comments who don’t write their name in the name field. Nice tips you have shared here that can be beneficial to blog readers. I personally follow these tips to commenting and it can be advantages to me. I also recommended that the comment should be unique and information. Try to elaborate the topic with your valuable advice or tricks. I guess you have done lot of research in finding these tips. I receive many comments daily on my blog but most of them will be SPAM as the key reasons behind them will be using KEYWORDS i name field, using more than 1 LINK in body field etc. I always want my hard work to be appreciated as it feels good and encourages our interest towards blogging or any field. P.S: I would suggest you to use CommentLuv Plugin to share each others posts. Hope you know about CommentLuv Plugin. BTW Thanks for the Tips. I was using commentluv plugin from starting but I have done few security changes on my site from then Commentluv stooped working. I have locked my wp-admin from the server so Commentluv doesn’t work so temporarily I have disabled it. I am finding the way to fix this soon. I just saw that you are using .htaccess file to password protect your wp-admin directory. I tried to do the same thing. But i was unable to do it. Could you please guide me “how to do it” ??? Sure I will help you doing it. add me on facebook then I will guide you how to do it. but I can help for the same on sunday. if its okay with you? You can help me whenever you feel like you are Free. You are already in my frndlist. just checked. Thanks for stopping by Sugandha. Good to be confirmed that I am already taking care of these things. Thanks for this awesome post. Its really good post for me to read. Thanks for presenting a helpful post for the bloggers. i will surely remember your suggestions for comenting.i like it. Your advice on commenting is spot on. Never put those one liner’s in like “Nice Post” because that will go right into the spam box. I find that some people like to skim a post and leave a comment that is totally unrelated to the content. I throw that one into my spam box too! It is important to first address the author by name, tell them honestly what is the most important thing you got out of the post and add some feedback. It takes a while to construct a blog post and we need to consider that while reading it. It is only common sense that we need to acknowledge the writer. Thanks so much for using my comment as an example here in this post. It is most appreciated. Thank your for checking out the post so quickly, Donna. Yours and Carol’s comment were exactly what I was looking for I used them in the post. I agree that we should always start with addressing the author, and then tell them what we have got from the post. Thank you! I like reading posts like this because it gives me some ideas of how to write better comments. And one tip that I like to make an effort in doing is showing appreciation from the start. I do admit that when someone does this to me it gives me confidence and motivates me to write better content as well. There’s nothing like getting a compliment than getting one from the get go within a comment. Also for number 8, the only time I insert a link is when I find a blog through kingged.com. I would usually add the link on the blog post showing where I found it on kingged.com. Other than that I usually don’t unless it’s relevant or helpful like you said. Thanks for sharing these tips! Have a great week ahead! I am happy that you somehow relate yourself to #2. Yes, it motivates us all. I found many of people Inserting link of kingged when they find the post on kingged. I am not sure why. Even I find a post from kingged, I don’t put the link there. Thanks for your views Sherman. Great article, and I couldn’t agree more with your points. ? Loved number one, and I even discourage this myself. Finding something you resonate with and showing appreciation is so important. You’re very kind – thanks for sharing that screenshot of my previous comment, I really appreciate it. Yeah, anyone who uses their brand name or keyword in the name section gets blacklisted from commenting on my blog – no exceptions. I really agree with #6. We are all busy, and while it is smart to add value to the conversation, people have taken this too far in my opinion, and I think you’re spot on for mentioning it. It depends on the topic so not sure a word count is always relevant, however, folks can definitely go overboard with the length of comments. Loved your article, Atish – thanks for sharing. Thank you so much for affirming the content as a good one. It means a lot. Actually it is an old post which I have re-purposed. When I started blogging, I was not able to write well, and had a few knowledge thus most of the blog posts were too short or full of mistakes, that is why I am re-purposing my older articles one by one. Hope it goes well! Thank you for being an awesome support always. One more nice and valuable post from atish , most of his posts are educate about blogging learnt lot of things from this super blog .. most of the bloggers dont read the post and leave the comment which is unrelated to the post and specially name section using keywords and comment is unrelated to the post , i read the post if its really helpful then only leave the comment … and one more thing we should respect the bloggers they are sharing a knowledge we should support with our comment ,not for the backlinks to our blog. i do agree this post each and every point thanks mate ! I agree with what you have said in the comment Charan! Thanks for understanding. I am very new to blogging and I am almost managing few of the points above while commenting on others posts and few points which I don’t have any idea have been well described by you above Mr.Atish Ranjan, and I would specially thank Mrs.Nirmala for sharing your post. This post has helped me a lot. I am happy that you liked the post, Gurunath. Most of the newbie blogger forget these things when they commenting other blogs.You have discussed in the guidelines very well. Thank you very much for sharing with us. I am happy that you find it useful. First of all I can’t agree with you more because whatever your mentioned as things to care in this post while commenting are my favorite. Secondly this is my favorite topic and I just browsed your post on G+ but bookmarked it to read and enjoy as you being an experienced blogger fully know the art of unforgettable commenting as I observed most of your comments on my blog do have huge value. I like your point 6 to stay brief and don’t prolong the comments unnecessarily just to impress someone. In this beginning I was so fond of giving detailed comments but now I stop where I think I have shared my feedback or thoughts that come into my mind soon after reading the post. Thanks a lot for sharing this very very useful post on blog commenting. Glad to see you on my blog after a long time. Yes, write a good descriptive comment but at the same time, we should limit it because it must not look like a blog post within the comment section. Thanks for reading and commenting on this post. You sharing all fundamental information about good blog commenting inside this post, I truly enjoy your post.. all factors you showing very understandable form which increase visitor interest into your blog.. thanks for sharing these cool tips. Thanks for the good words Arif! Good effort!! !I can surely say maximum blogger don’t think about these point while he commenting.They do it just for their site but they don’t think about the site owner where he commenting,so that the site owner do not publish it.After all helpful post.Greatly Thanks to Atish Ranjan for this post. Thank you for the critique on blog commenting Atish. It was right on and right to the point. I don’t think links belong in comments and I’ve never seen one. A gravatar is a must have and it should be a picture of the real blogger. One liners are just looking for a backlink and not worth the comment. Your 10 things to remember while blog commenting are right on target and this post is a keeper. Thank you for reading the post, Linda. Links in the comment body irritates me the most. You too have awesome week ahead. Thank you for this awesome article. I have seen some comments where people do not use a name but a brand name. I have also seen some very poorly written comments that had nothing to do with the post topic at all. I wish more bloggers would read this article. Thanks for sharing blog commenting tips for new bloggers like me. i am reading your tips and applying blog comment as per listed rules and my post is approved. i am really happy to read my blog comment. some people are reading and some people are not reading.Everyone posts the comments just for backlinks. So we have to avoid the that type of habits. I am hoping one thing from you, please post this type of articles as you know. This is very much important post for new people in commenting. There is many mistake new people make while commenting. This points will surely help them to improve and get the mistake they make. This is also nice article to share. What are Ransomware Attacks and How Should One Prevent it?